Your prompt today is: If you could live to see an event in the future, what would that event be? This is what came to my mind. Projecting my thoughts to think of a future event, brought to mind seeing my great, great grandchildren’s children. Where they might live, what they enjoy, who they marry and of course what their world would look like. Would there be flying cars, and technological and robotic advances beyond our current thinking? Would the world still be lush and green or a wasteland? Indeed will it be a happy healthy place for them to live? I hope my journey into the future makes me happy and that my heritage lives on with love and freedom. Would that I could see future generations making a difference to their world. Seeing children with a genetic familiarity in blue yes and dark hair. Maybe even a writer or two – now that would be a legacy to be proud of. What future event comes to your mind? Why not share it in the comments? I have a couple of events coming up this Saturday – one in a local book store – Star Wars themed and then an author reading later in the afternoon – Halloween themed. I have not decided which story I will relay quite yet. It depends on the audience. If there are a number of young children I will most likely read Rumble’s First Scare but if it is mainly an adult audience then I will choose a scarier story. Maybe the true story of my first encounter with ‘predictive death’ or a true ghost story. We will see. What events do you have coming up this week? 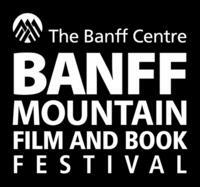 From October 25 to November 5, the Banff Mountain Film and Book Festival puts readers up where they belong, in Banff, AB. What are the local events you will be attending?